Recent photos of Pluto and the wonders of space have reminded me of the intergalactic awe of my childhood. When my family left Cuba in June of 1960 we landed in Houston, where my aunt lived. At the time, it was not a very hospitable city to those who spoke Spanish, like my family. However, Houston was quite welcoming to the U.S. space program and NASA’s headquarters for manned flights, founded in 1958, was located there. I still vividly remember Alan Shepard’s flight into space on May 5, 1961, nor was it lost on me that he shared my name, and that it was spelled the same way. ¡Vaya! I was at school, but classes were interrupted for us to watch it on TV. As an eight year old, it was my first exposure to the idea of infinity. There was a collective euphoria and pride in the U.S. that was palpable. For several years, I devoured all information about rockets, the space programs (Mercury, Gemini, Apollo), the planets, the lives of the astronauts, and anything to do with outer space. My life’s ambition was to become an astronaut, a yearning I must have shared with millions of American (and Soviet) children. Later, I wanted to be a baseball player, a more Cuban ambition. 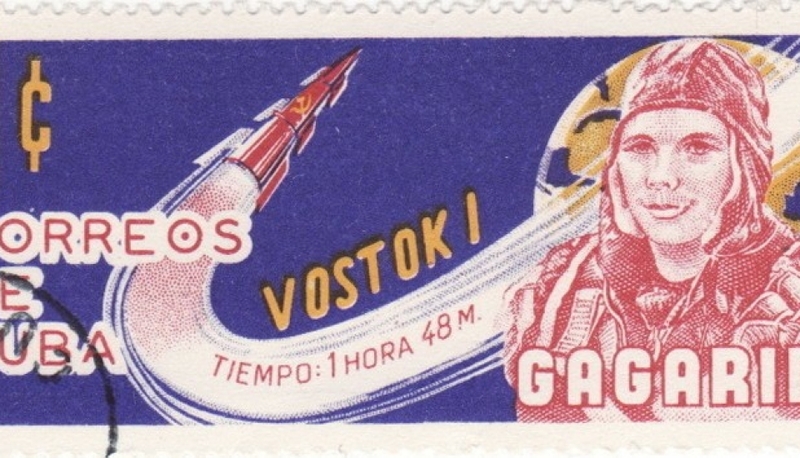 But three weeks before Shepard’s Freedom 7 flight, Soviet cosmonaut Yuri Gagarin had become the first human to travel into space and orbit the earth (Shepard’s was a sub-orbital flight), further ratcheting up the space race between the U.S. and the USSR, which had been radically ignited by the Soviet’s launch of Sputnik in October of 1957. Neither the Sputnik nor Gagarin’s mission, despite their scientific success, would have crossed my ideological radar since I was too young at that time to appreciate all the political dimensions of the space race. One of the fascinating elements of the Cold War was that some of its most tenacious battles were fought out in areas where conventional weapons were not employed: economics, sports, science, health, education, culture, and, of course, the space race, which could be viewed as extension of science. From the launch of Sputnik (1957) to the Apollo 11 landing on the moon twelve years later (1969), the U.S. and the USSR engaged in a fierce competition for the exploration of “outer space”. I place outer space in quotes because we need to distinguish between how the Soviets and the U.S. saw and defined this period and the notion of outer space. Five days after Gagarin’s amazing feat, the U.S. decided to go ahead with the Bay of Pigs Invasion, which turned out to be one of the worst disasters in U.S. foreign policy. During those same days that Cuba was fighting for its life, Gagarin was being honored with a hero’s welcome in Red Square and some three months later (July 24-28, 1961) he visited Cuba, where he was rapturously welcomed by cubanos. There are memorable photos of him with Fidel, some at the Plaza de la Revolución; in some Fidel towers over him, since he was a foot taller than Gagarin. 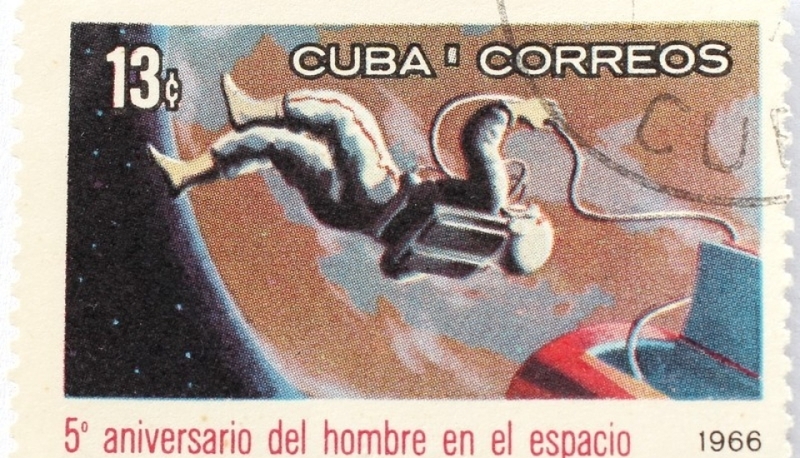 Cuba must have done something to Gagarin, because he became president of the Soviet-Cuban Friendship Society. Barely a week after Gagarin’s trip to Cuba, Gherman Titov became the second Soviet cosmonaut in space (August 6, 1961), orbiting the earth some seventeen times. He was the first cosmonaut to have a daylong experience in space, to experience space sickness, and also to take manual photographs from outer space. In her elegant essay in the book Kosmos: A Portrait of the Russian Space Age (with stunning photos by Adam Bartos), Svetlana Boym recalls her childhood in the USSR of the 1960s, at the height of Soviet fervor for their space initiatives. She speaks about an “enchanted technology”, adding the following: “In the exploration of the cosmos, science merged with science fiction, and ideology sounded like poetry.” (Boym, 83) More than wanting to go to the West, Soviets were more interested in going to the cosmos. She remembers that on playgrounds children in a chorus would be asked: “Would you like to have a million?” “No!” was the response. “Would you like to go the Moon? Yes!” (Ibid., 83) She further explains that the notion of outer space is seen in the U.S. as a new frontier (“not so much the wild West, but the wild sky”). For the Soviets, the notion of outer space is defined as cosmos, derived from the Greek, which means “order, ornament, harmony”. Boym makes reference to some of the mystical theories of Russian cosmism of Nikolai Fedorov (1829-1903) and others that speak of an “enchanted technology”, one “founded upon charisma as much as calculus, on pre-modern myth as well as modern science.” (Ibid., 83) This combination of myth, hard science, mystical harmony, and an utopianism that is both technological and political, gives the Soviet space program its unique identity. 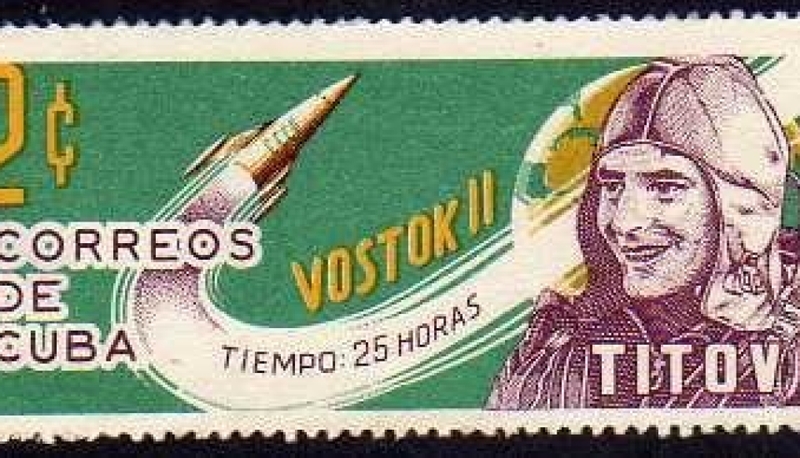 She argues that because of the influence of Fedorov’s cosmist ideas (along with the writings of Konstantin Tsiolkovsky, the “father of Russian rocketry”), the Soviet space ethos was a mixture of nostalgia and futurism. Tsiolkovsky had famously said: “Mankind will not be bound to earth forever.” The idea of flying into the cosmos embodied a homecoming (to a home never known but yearned for) and a bold step into the future, an unleashing of human and scientific potential that eventually would lead to the building of Communism. 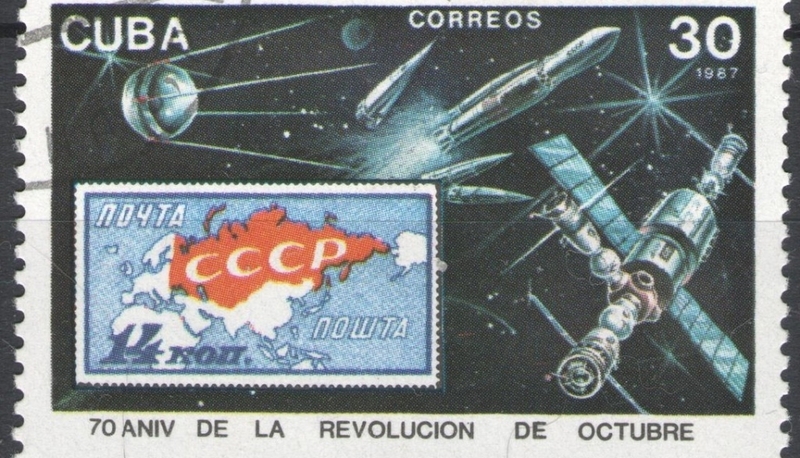 The newspaper “Pravda” had triumphantly proclaimed “Gagarin flies on the wings of the Great October.” (Ibid., 89) The New Soviet Man was embodied in the figure of the cosmonaut, and, not surprisingly, Gagarin met with Che Guevara twice, once in Cuba, another in Moscow. Buoyed by the exploits of Gagarin and Titov, Khruschev declared at the 22nd Congress of the Communist Party (Oct. 1961) that the USSR would be living under full Communism by the 1980s. 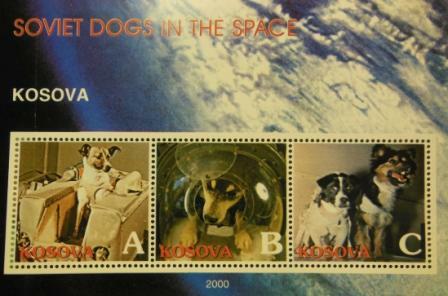 But before Gagarin and Titov’s voyages, other living creatures were propelled into space: dogs. The Soviets had been sending dogs into space since 1951 (the U.S. preferred to send monkeys or chimps). Why dogs and not monkeys? Aren’t monkeys more like humans? The Soviets argued that much more was known about dog physiology at that point (thanks to the work of Pavlov), that they were easier to train, much less nervous and prone to mood swings, and more cooperative in working with humans. Later, the Soviets used simians: their Bion 8 flight (1987) featured two monkey cosmonauts, Dryoma and Yerosha. Dryoma was then given to Fidel as a diplomatic gift. Barely a month after the first Sputnik launch, on November 3, 1957, the Soviets sent Sputnik 2 with the dog Laika aboard. The craft had about ten days oxygen aboard for her, so the launch team knew that Laika would not survive, given the full scope of the mission. The official version given was that Laika died from lack of oxygen, but classified documents released in 2002 revealed that she had died after four orbits around the earth due to overheating. There was world concern about Laika’s fate and she became a cause celebre for the humane treatment of animals. U.S. criticism of Soviet space policy was met with suspicion if not scorn (after all, U.S. attempts with monkeys or chimps had also led to several deaths, not to mention the human toll among fighter pilots that Wolfe describes in The Right Stuff). Amazingly, Laika became not just a pawn in Cold War ideology, or an example of scientific hubris, but a martyr in the history of space exploration. 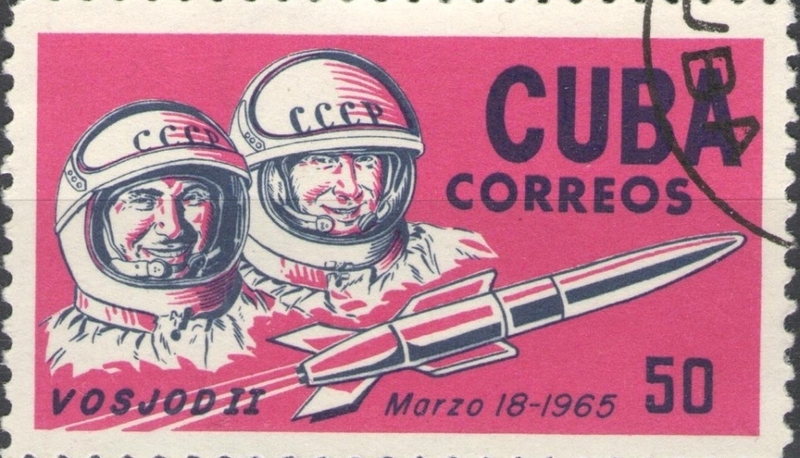 Laika was commemorated not only in the Soviet bloc (stamps, toys, match boxes, cigarette labels, postcards, children’s books), but all over the world. There are wonderful examples of Japanese toys, posters, and objects that are heartfelt tributes to Laika (see Soviet Space Dogs by Olesya Turkina, 2014). It was two other female canines, though, that made history and paved the way for Gagarin. Belka and Strelka orbited the earth for a day (August 19-20, 1960), and it was broadcast live on TV. The audience could see the dogs doing somersaults in zero gravity; however, Strelka was stressed and wary while Belka seemed to have a blast, frolicking, and barking. 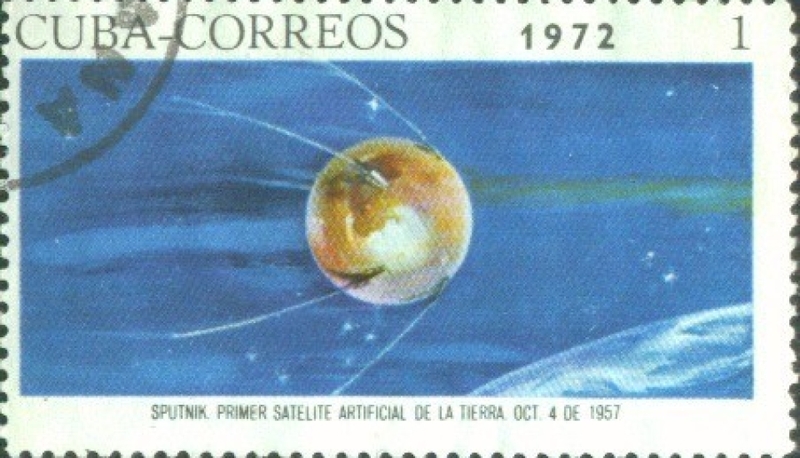 (Belka had been in space twice before, although not in orbit). More importantly, they returned safely. Belka and Strelka became Soviet and world celebrities. Despite her stressful reaction, Strelka had a litter of six pups, one of which was given to the first lady Jacqueline Kennedy. Given the Cold War sensibilities of the time, the pup, named Pushinka (Fluffy), was checked out to see if it did not have devices on it for spying, and was then finally given to her daughter Caroline. In 2010, a Russian animated film Space Dogs was released and it tells the story of Belka and Strelka from the point of view of Pushinka as a flashback. While it takes some liberties —a male dog ends up as a stowaway and falling in love with Belka, the spaceship seems unbelievably roomy, the dogs roam around without their spacesuits— overall it is a charming recreation of an historic moment in space travel, and the final credits have some actual footage of the real Sputnik 5 mission. The Soviets were skillful in handling the propaganda elements of their achievement. What better way to honor the sacrifice made by Laika three years before than by launching this successful mission? It became a perfect combination of canine bravery and loyalty, cosmonautic triumph, communist ideals and plain old doggie cuteness. 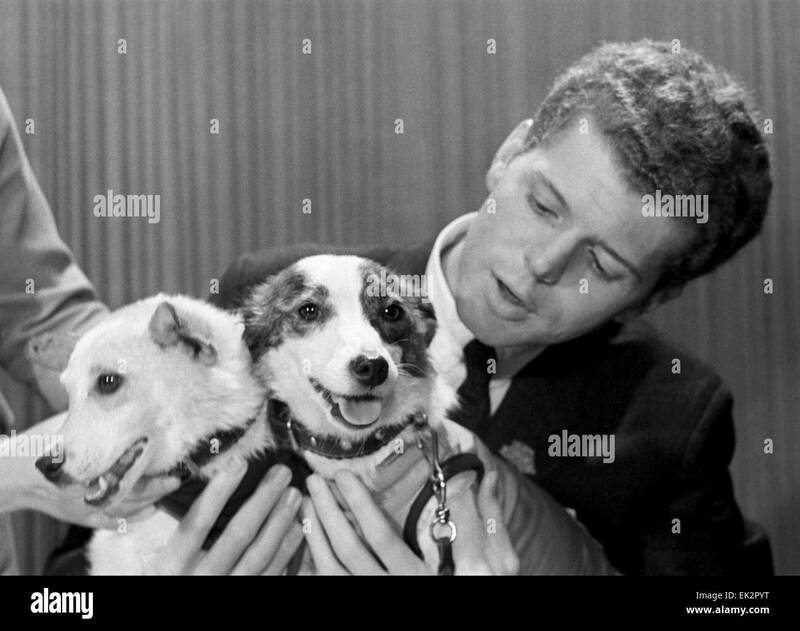 There is a wonderful 1961 photo of the American pianist Van Cliburn —who was wildly popular in the USSR and touring there at the time— with Belka in his right arm and Strelka in his left. Belka is looking off to her right (possibly a little bored? ), Strelka is looking right into the camera as if to ask “Am I not the definition of cuteness?” Here we can savor a redemptive moment of the Cold War: if the USSR was claiming that it was now the leader in the space race, there was Van Cliburn to reaffirm it; but, at the same time he was a symbol of American artistic prowess in having won the Tchaikovsky Piano Competition in 1958, in Moscow, and playing Russian music no less. Cuteness aside, the photo reveals something positive about the Cold War: that despite the ideological animosity, beyond the intense competition to prove economic, scientific, or cultural superiority, there was a striving for excellence, creativity, abundance, and yes, even beauty, that made great contributions to humankind that could at times —if not entirely transcend ideology— at least be a welcome respite from its more dogmatic disasters (revealed by the U.S. involvement in Vietnam and the Soviet intervention in Afghanistan). Dogs and science —and science fiction— were no novelty to Russia, from the famous work of Nobel prize winner Ivan Pavlov (1849-1936) to Mikhail Bulgakov’s (1891-1940) novel Heart of a Dog (1925). Best known for his masterpiece The Master and Margarita (1940), his earlier novel is a raucously satirical view of science, ideology, and politics. Taking place in NEP Russia (1921-28), the novel’s scientist Preobazhensky performs rejuvenative surgery on a dog named Sharik, using the pituitary glands and the testes of a human. The human parts used to rejuvenate, however, were those of a criminal and alcoholic, Klim. The result is a human-dog (called Sharikov) who speaks and becomes a rather odious hybrid of rapacious exploiter and socialist bureaucrat. Both the scientist and the Bolshevik Shovner vie to make the hybrid work in their favor (the former as autonomous anti-Bolshevist, the latter as loyal Communist militant). After a series of hilarious mishaps, the creator, sensing that his experiment has gone totally awry, eventually backtracks and undoes the operation. The novel is a warning about scientific, political, or ideological hubris under the masquerade of improving the human race. Bulgakov’s novel was not published until 1968 (in Germany) and not in the USSR until 1987. How can we square Bulgakov’s narrative with what Tom Wolfe called “the right stuff”? Wolfe describes the “right stuff” as a combination of courage, irreverence, patriotism, intelligence, heroism, and almost plain recklessness. Stalin is attributed with saying at Lenin’s funeral that “We Communists are not like other people. We are made of special stuff”. Is Wolfe’s “right stuff” and Stalin’s “special stuff” similar or different? Leaving aside ideology for a moment, there is little doubt that what Wolfe considers the “right stuff” can apply equally to U.S. astronauts and Soviet cosmonauts (minus perhaps the recklessness). But what about the “special stuff” of Communists? Presumably this would include a selfless attitude, a devotion to the masses, courage, a willingness to advance science, and an unflinching enthusiasm to build the socialist (and Communist) future. Zizek claims this “special stuff” is the “body transubstantiated into the body of Truth”. Are the bodies of Laika, Belka, Stelka and so many other Soviet space dogs a link in that body of Truth of space exploration? Yes, but that doesn’t tell the whole story. The Russian cosmists believed in traveling to the cosmos to look for the particles of our ancestors and physically resurrect them, as a way of perfecting and saving the universe, and ultimately, of achieving immortality. 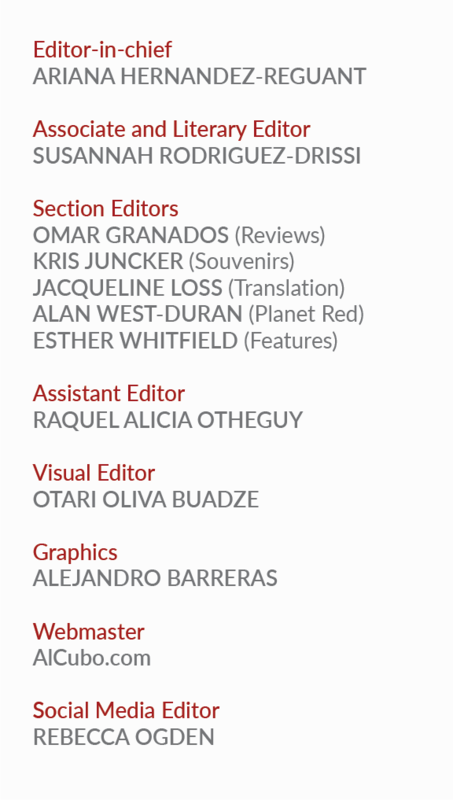 (I detect shades of Lezama Lima in this thought). Fedorov said: “The resurrection of all mankind will result in a complete victory over space and time.” Laika, Belka, Strelka, and so many other canine cosmonauts, have they achieved a victory over space and time? If we cannot physically resurrect them, maybe they can return in our memory, in the immortality of our imperfect search for knowledge. They helped “make fairy tales come true”. They are our ancestors, too.